FOR THE BUYERS WHO WANTS TO "DO THINGS! 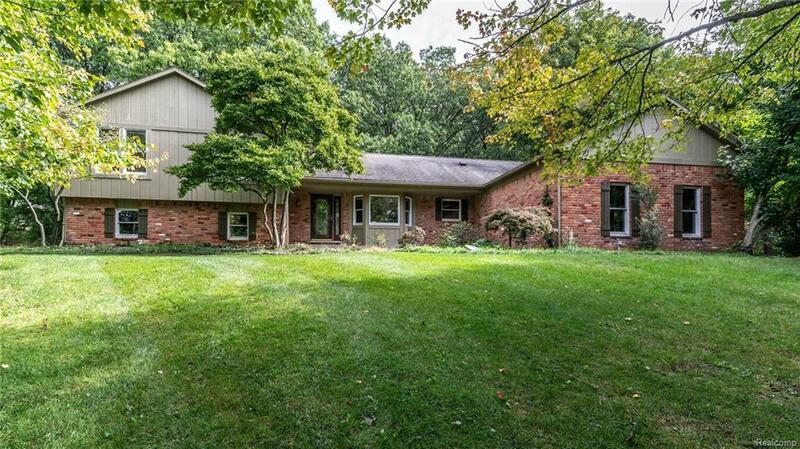 ", TO A CHARMING HOME ON OVER 1.6 ACRES IN DESIRABLE BRANDYWINE FARMS. ENJOY THE ALMOST 3200 SQ. FT. OF LIVING SPACE, 4 BEDROOMS & 4.5 BATHS. LOWER LEVEL FEATURES FULL KITCHEN, BEDROOM & FULL BATH. QUALITY HOME THAT NEEDS SOME TLC WHICH IS REFLECTED IN PRICE. IDX provided courtesy of Realcomp II Ltd., via Real Estate One-Brighton and Realcomp, ©2019 Realcomp II Ltd. Shareholders.